In December of 1989, the Mets & Reds agreed to a deal that would swap both teams left handed relievers. The rumors were that the Mets went into the “Winter Meetings” that year looking for a complimentary righty to match Mets left handed reliever Randy Myers but it didn’t exactly turn out the way fans & the GM expected. Instead they swapped Myers for Franco, which came as a surprise. ‘We’re trading two of the finest left-handed relief pitchers in the game” said Joe McIlvaine, vice president of the Mets at the time. While Myers was a dominant pitcher during his tenure with the Mets as well as after with the influential time he spent with the Reds, the trade worked out for both teams. The Mets especially, since Franco is a Brooklyn native & the hometown of any team loves to see “homegrown” talent flourish. It was good for the city & the borough of Brooklyn. 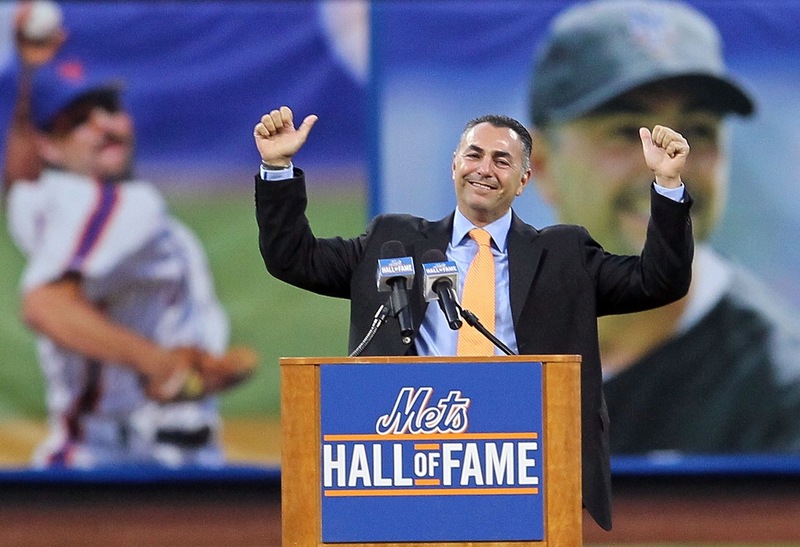 Franco ended up spending 14 years with the Mets & has a record of 48-56 while wearing the orange & blue. He’s 90-87 throughout his 21 year career. In his 14 seasons with the Mets, Franco has an ERA sitting at 3.10 over the span of 695 games & 702.2 innings with an impressive 276 games saved in a Met uniform. At one point, Franco was the all time leaders in saves when it came to left handed pitching & was probably over looked for the Hall of Fame. One thing I personally admired about Franco was that he didn’t have any issues when it came to changing his number when the Mets acquired Piazza from the Marlins. I know that that’s a silly thing to admire but in my opinion, it was a clear cut example oh how Franco puts the team over himself. You’re not going to find too much drama or overwhelming numbers when you start to look up Franco, but you will find out that he was a hometown favorite in NYC & he put the teams overall goals ahead of his own needs. Keep in mind, the Mets acquired Armando Benitez towards the last few years of Franco’s run. One of Franco’s most memorable moments came in the 2000 NLDS when he faced Barry Bonds late in the game only for Franco to strike Bonds out. It made a great memory for a great memory for the season, playoffs, as well as Mr. John Franco’s career.